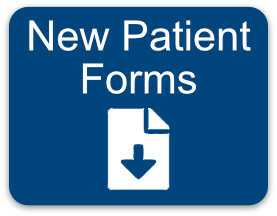 Please print the New Patient Forms, fill them out, and bring them with you for your appointment. Hamilton Dental Group does not offer in house financing however we do offer Care Credit. You may complete an application at our office or if internet access is available to you then you may apply on-line at Carecredit.com The application is quick and simple. Approximately 4 short lines to complete. A copy of your driver's license is required to apply in office. No fees are charged to apply for the credit and the account is free. 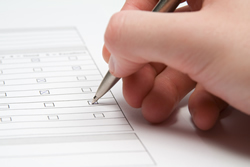 If approved, you will receive an account number that we will use to pay for your services with us. The bill you receive will come directly from Care Credit and you may continue to use Care Credit for future visits with us. All out of pocket co-payments (amounts not covered by your insurance) are due on the day of service. If the service requires more than 1 appointment, you may split the co-payment into 2 equal payments. 1/2 due at each of the first 2 visits. We submit your dental insurance as a courtesy to our patients. The insurance belongs to you, the patient, and as such, it is your responsibility to know your coverage. We will give you an estimate of your out of pocket cost based upon the information we have regarding your plan but please keep in mind that it is an estimate. All balances that remain are your responsibility to pay regardless of the estimate that we provide. We will do our best to provide an accurate estimate but due to the numerous insurance companies, clauses, alternate benefits, maximums, benefit year and change of plans that are used today it is impossible for us as Dental Providers to know each insurance plan and coverage levels. Dental insurance is a contract between your employer and a dental insurance company. The benefits that you receive are based on the terms of the contract negotiated between your employer and the dental insurance company, NOT your dental office. The goal of dental insurance policies is to provide only the basic care for specific dental services. These services are selected by the cost of the policy for your employer. These policies are prepaid benefit plans designed to restrict eligible treatments and annual maximum dollar amounts to meet an employer's budget. Once the annual limit is reached, your insurance will cover no other services no matter how essential they may be to your oral health. The lower the budget, the more restrictive the plan. These limitations and restrictions will almost always mean that your oral health will require your personal investment. The benefits you receive from your dental insurance company has nothing to do with you receiving the highest quality of dental care. Because your benefits are decided by your employer and insurance company, many services are not covered. The selection of the non-covered services is not based on what you need or want, but it is based strictly on the cost of the contract with the insurance company. Dental insurance companies rarely cover 100% of any dental fee, and in many cases, cover only 50%. The amount that you receive from your insurance company depends solely on the terms of your contract with them. Unfortunately, some insurance companies don't reimburse at the current fee guide year. We presently charge 20% above the current fee guide year. Unfortunately, your dental insurance may not cover some of the services that you may need or want. Dental insurance companies typically do not cover any cosmetic or implant dentistry. Although these are very important dental services that greatly enhance the quality of life for our patients, insurance companies do not feel they should have to pay for these services. Our goal is to help you achieve and maintain optimum dental care, which is not necessarily the goal of your dental insurance company who only provides the negotiated benefits for specifically selected services. We recognize that dental insurance can be complex and extremely difficult to understand. Therefore, we will do everything possible to help you understand and make the most of your dental insurance benefits. Please keep in mind that insurance companies attempt to reduce their costs through continuous changes, so please keep us informed of any changes to your benefit package as your insurance company does NOT inform us of any changes to your policy. We encourage our patients to familiarize themselves with their dental plan in order to eliminate disappointments with payment and reimbursement. If we proceed with your necessary treatment because you assume it is covered, and then after claim submission you find out that your plan has changed and your treatment is denied, you will be disappointed. It is impossible for us to know every patients insurance coverage details, especially when they do not inform us of their changes, so we need your help. We can help you by first submitting a pre-authorization of the required treatment and the fees associated with it to see if your insurance company will authorize or deny the treatment. Many insurance companies try to control the amount of dentistry you receive by requiring authorization from them before any treatment is completed. We will send your insurance company the diagnosis, x-ray and explanation as to why your treatment is necessary. On average, it can take two to six weeks to receive approval or denial from them. As soon as we receive the details regarding the coverage, we will contact you and explain it to you. In most cases, we can begin treatment for basic dentistry prior to receiving authorization and we will submit your insurance claim for you. Patients urgently requiring major dentistry to relieve them of pain and discomfort cannot wait two to six weeks for approval. However, we can still proceed with treatment and submit a post-authorization claim for you with the attached evidence showing why you could not wait the approval time period, but we cannot guarantee that they will reimburse you. We will not compromise your dental health care because of restraints placed by your insurance company. Our goal is to provide the best quality dental care and we feel that one of the key factors in achieving this goal, is to remain free of dental insurance involvement. The choice to remain unaffiliated with any dental insurance company is based on this simple fact: we strongly feel that in order for our patients to receive the highest quality of care, treatment, technology and materials, we cannot be influenced by any outside body who bases their quality of care on the average treatment, technology and materials that saves them the most money with each reimbursement. If you have insurance coverage, we still require full payment from you at the time of the appointment and you will be directly reimbursed by your insurance company. As a courtesy, we complete and submit all dental insurance claims for you at no extra cost. We shall report only what was preformed and it will be a true and accurate report from our office records. You will be reimbursed at your insurance company rate within 5 - 10 working days as most claims are sent via the internet. For those claims that cannot be submitted via the internet, please allow extra mailing time. Our administration team has over 15 years of experience with dental insurance companies and will work diligently at getting every benefit dollar contractually entitled to you. We accept cash, checks, VISA, MasterCard, Discover, American Express and debit cards. Extended terms are also available through Care Credit. You can apply in our office or apply online.